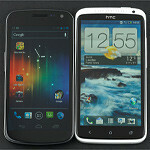 A lot of users out there who are considering buying the new HTC One X are probably wondering if it's really better than the Galaxy Nexus, which is a device that has an almost identical footprint. Well, of course a lot of users will be torn between these two powerhouses, seeing that they feature displays that are almost exactly the same in terms of size, and both run Android 4 ICS, although in a slightly different form. But never fear! We're here to compare these two beasts and see which one gains the upper hand! 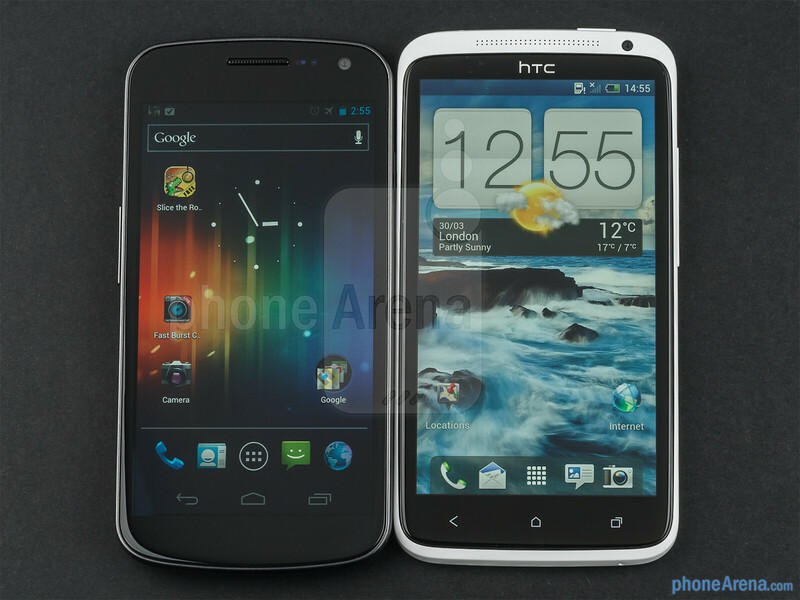 It doesn't come as a surprise that the HTC One X and Samsung Galaxy Nexus are about the same size. After all the X has a 4.7” screen and the Nexus – a 4.65” one. However, Samsung's device is significantly more comfortable to hold, due to the fact that it's slightly narrower and doesn't have the sharp side edges of the One X. When it comes to materials and construction, though, the One X is much better, as it uses a higher-quality type of plastic, compared to the cheapo one of the Nexus. Yeah, the Nexus allows you to remove the back cover and battery, but that's not really a great benefit considering the more solid build of the One X. As we said, the displays of both handsets are about the same size, and the little difference is actually unnoticeable. Resolution is also the same – 720x1280 pixels, so image clarity and overall readability are great on both phones. There are some fundamental differences, though. 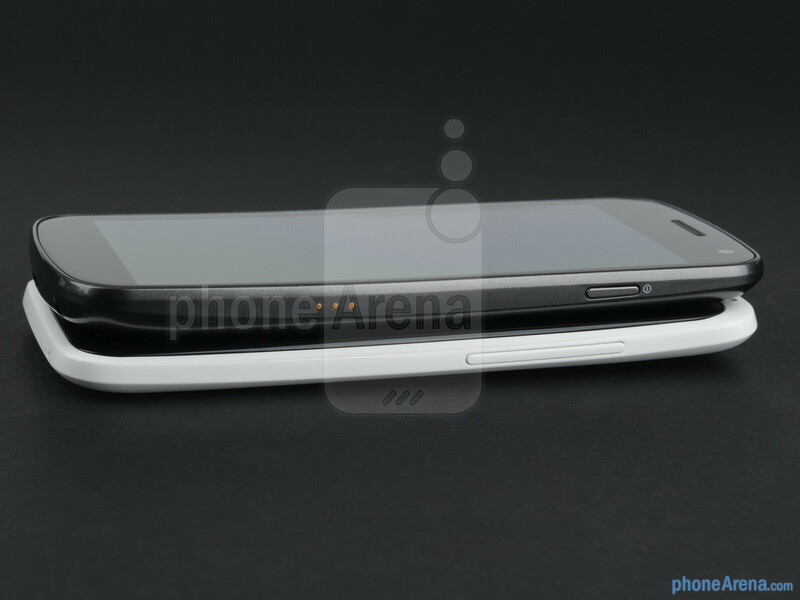 While the Galaxy Nexus uses the Super AMOLED technology, the One X has decided to stick around in LCD territory. However, HTC has made some tweaks to the good-old LCD technology, introducing some improvements and naming it Super-LCD 2. The result of all this? The screen of the One X is much brighter and vivider compared to the one of the Nexus. 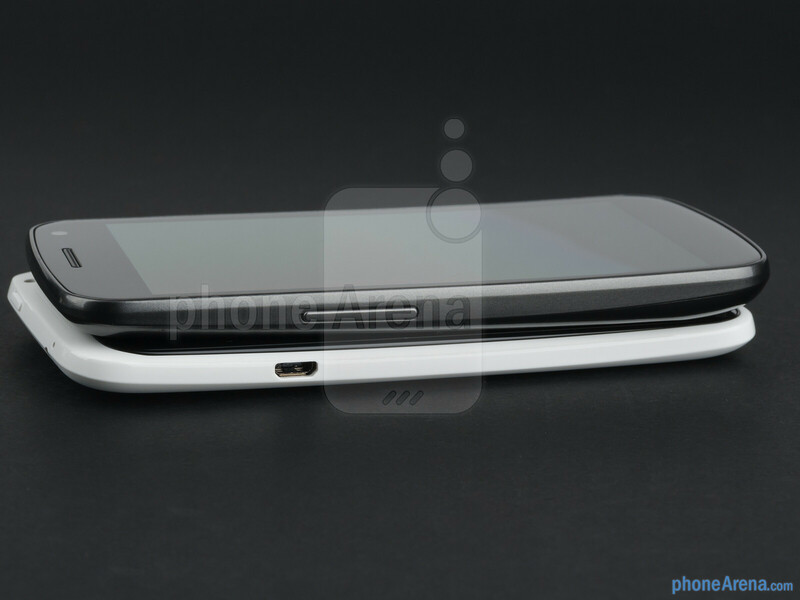 To top it off, the One X also has the more natural-looking colors. I think the one x has the better camera. Although I just compared the two pictures of the pink building, but I agree. First of all, the distance from where the pictures were taken was farther with the One X compared to the Nexus yet all you need to do is look at the twigs of the barren tree in both pictures to realized the One X takes more detailed and clearer pictures. I don't agree with the review. The One X has the better camera! no its was not taken farther,, its just that the one x has a wider lens therefore capturing more objects in a frame,, even if it appears farther, the details are OBVIOUSLY sharper/more detailed in the One X,,both bright light and low light. Ray S is just retarded. lol. Better camera, maybe. but overall Nexus is better. 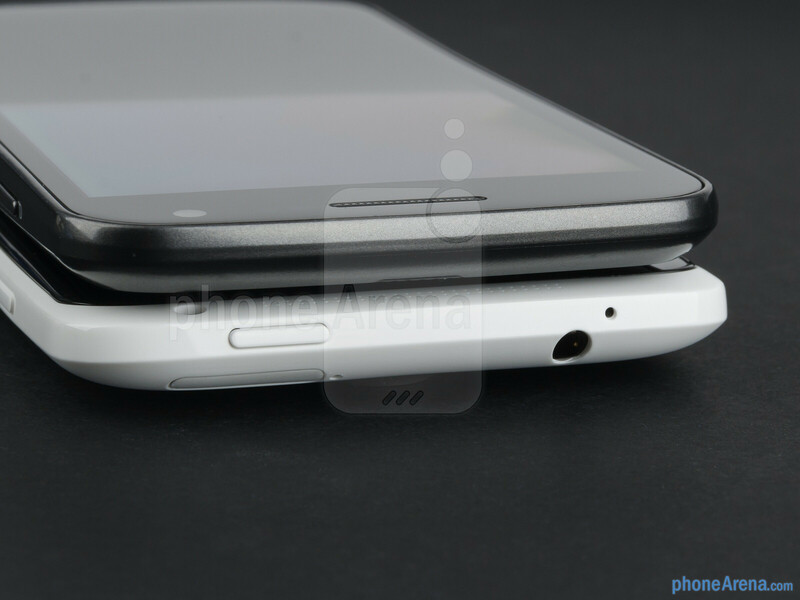 I would take the Nexus just because of the removable battery. Say bye bye to rooting with the one x. And although LCD screens look more realistic, LED looks so much nicer when gaming and what not. This is an easy win forms. And the updates/development will be much faster since it is a Nexus. Yea the Galaxy Nexus web browser is much more smooth which makes zero dare i say SENSE? Ok but seriously I hope HTC fixes this issue soon. You guys forgot to say anything about the memory: One X has 32Gb included, while Nexus has only half. This aspect really does matter, especially when you shoot 1080p videos (which take alot of space), keeping in mind the fact that both devices don't have a card slot. Galaxy Nexus has 32gbs of memory. According to this:http://www.gsmarena.com/samsung_galaxy_nexus-4219.php it has only 16.
gsm Nexus has 16Gb, Verizons LTE Nexus has 32Gb. I have the Verizon Nexus, and can confirm this. It really perplexes me that HTC has managed to get the market share they have, considering how low-end everything they produce comes across as. Even a paper-monster as the One X just has that HTC feel to it that makes it feel crap. My first droid was an HTC Desire Z, and my god what junk that phone was. Due to that phone I also thought Android was crap, but after trying the Nexus with Android in its purest form I'm much more positive to the OS as such. 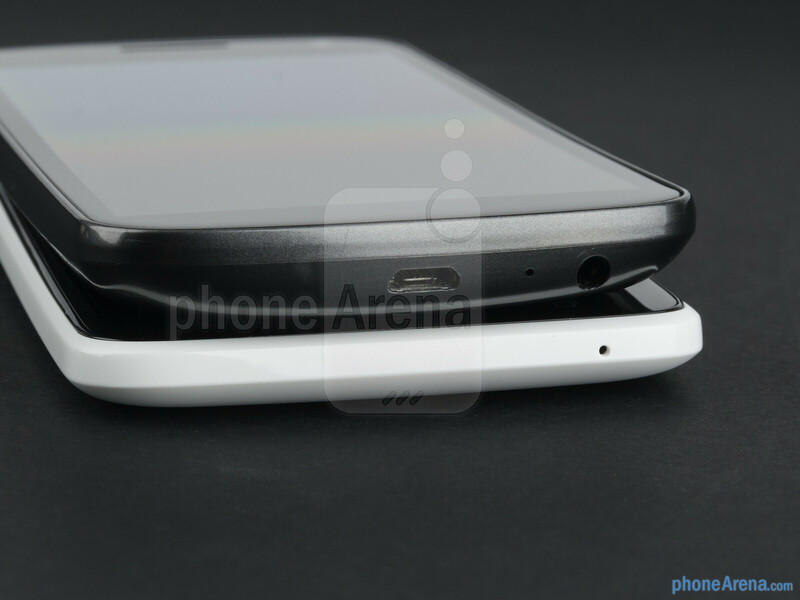 Samsung is of course also light years ahead of HTC in terms of phone design. The Nexus is a gazillion times more desirable than anything HTC has every built (and probably ever will build). HTC just continues to churn out bland-looking phones with a degraded OS experience. Enough already. Im sorry but the HTC Desire is and was never a Droid. What he means is that the HTC Desire was an 'Android' phone and not a Droid. The Droid name is a series of phones that Verizon offers. Has the name Droid in the device name itself (Droid Incredible, Droid Razr, Droid X etc). Common misconception among Android n00bs imo. Yep exactly. "Droid" is a trademark name that Verizon is allowed to use. Just like Sprint has "EVO" and T-Mobile has "MyTouch". 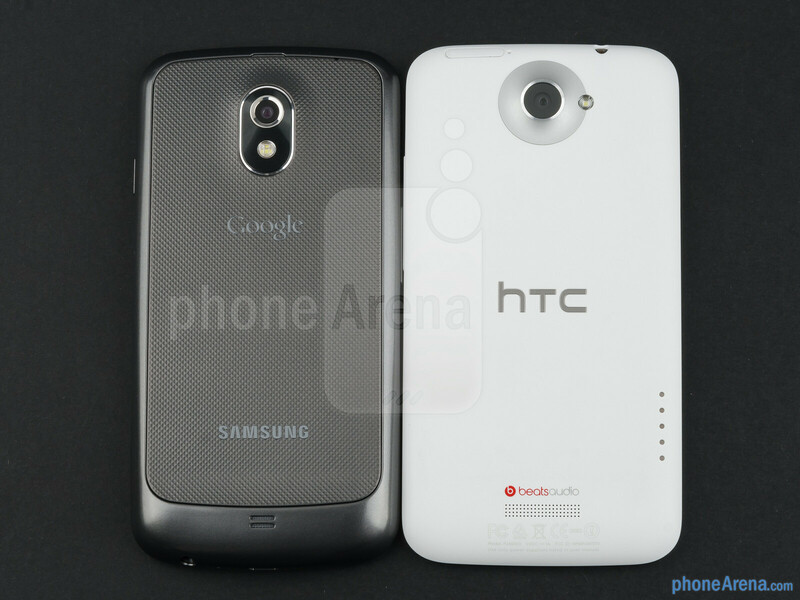 I would rather have an HTC device than any of the Samsung made Nexus. I love HTC build quality and design with the aluminum accents (mainly the Sensation, Amaze, and One S) sure, they might be similar, but why fix something that isn't broken? I mean, look at Apple. They have had a whopping 3 designs in the 5 phones that they distributed, varying only slightly.They're designs are nice (though with a few flaws, but every phone has its' own flaws) and people love them, though many only because of the apple on the back of it. My point being, HTC keeps that design because it works well, and feels good in the hands, it's become somewhat of a trademark for them. Though some people don't like it, a lot of people do, and you shouldn't be one to make snide remarks about it. again the build quality argument.. well, that doesn't change the fact that the glass screen covers almost half of the outer layer of all touch screens out there making the whole build quality issue pointless. the thing is, no matter what the back of the phone is made out of, when that phone drops, chances are that your screen will shatter and a screen replacement will have you pay.. a lot. which is why many people with top end phones are smart enough to cover their phones with cases. so to an extent, build quality argument is po ntless. personally, all I care for is a good design and an adequetly well built phone, which most Samsung phones are (how did the S2 fair in the drop test again?). I hope people would let that issue go and focus on what the phone has to offer and how it performs. Tell me, how many HTC devices have you seen with cracked screens? Your first argument was, "no matter what the back of the phone is made out of, when that phone drops, chances are that your screen will shatter" and then you go saying "how did the s2 fair in the drop test?" cancelling out your erlie argument. The iphone isnt every phone. my brother's Sensation XE was shattered from a waist high drop. he was unfortunate enough for it to drop facedown, but a relatively heavy phone like the sensation (150 grams) will handle drops worst than a the light weight S2 (115 grams)! but will the S2's screen shatter? of course, it's still glass and you will end up paying around the same 250$ for a stupid accident. light weight phones will handle drops better, but unfortunately big glass screens are more fragile than the smaller ones.